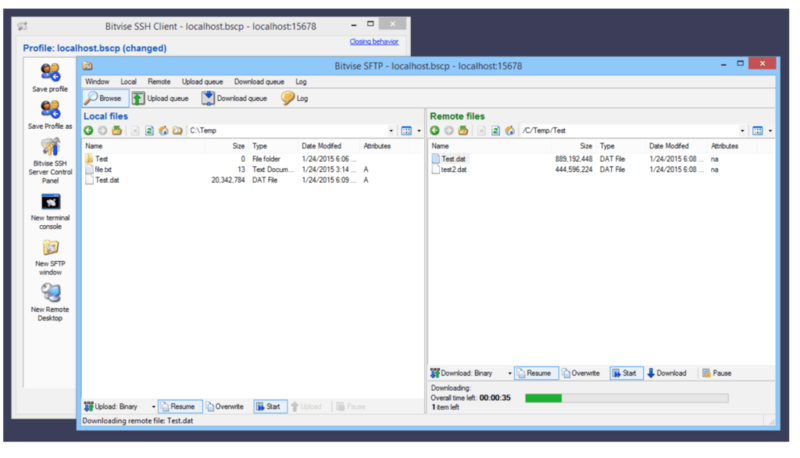 Bitvise SSH can provide some of the fastest file transfer speeds possible. It is a multipurpose application designed to provide secure SSH features and SFTP Server capabilities. Not only is it FREE, but it supports an unlimited number of user connections. Bitvise SSH is compatible with all major SFTP clients and has a simple installation and setup process. Designed for Windows so that it is easy to Install and Configure! There is No Limit on the Number of Users that can connect. There is also No Price increase for a larger number of connections! Where SolarWinds only enforces the use of virtual accounts, Bitvise SSH supports Active Directory and system accounts as well. The time-based password options are compatible with apps including Microsoft Authenticator, Google Authenticator, LastPass, Authy, or FreeOTP. 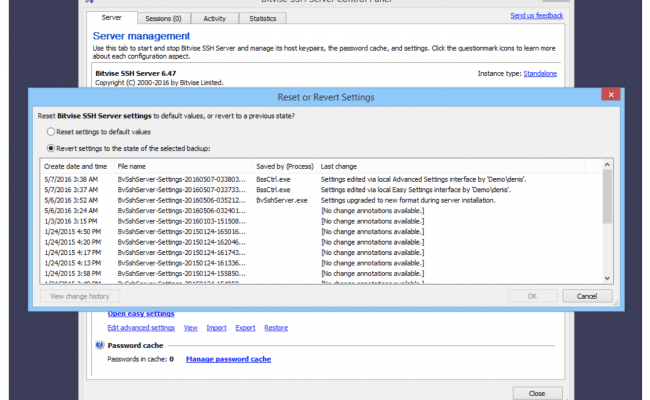 Because Bitvise SSH gives you the ability to support Active Directory and system accounts, it can leave your system vulnerable. The locked transfer file mode prevents users from tunneling or accessing the terminal shell. The SSH server can give you different data points so you can analyze individuals or groups of users. It keeps a record of daily, monthly, and annual usage statistics. If you have a lot of users, Bitvise SSH Server supports virtual accounts, created in SSH server settings and backed by the identity of one or more Windows accounts. Allows clients to obtain some of the fastest transfer speeds available, in the tens or hundreds of MB/s can be obtained. Upload and download speed limits can be configured for each user and/or group and Bandwidth can be Limited per User/Group Basis. Server-side forwarding, Scriptable settings, Multi-instance support, Master/slave configuration, Delegated administration. Supports all desktop and server versions of Windows, 32-bit and 64-bit, from Windows XP SP3 and Windows Server 2003, up to the most recent – Windows 10 and Windows Server 2019. **Can handle file transfer connections using FTP over TLS (SSL) in addition to SFTP and SCP over SSH.